In 2016, Wikipedia grew by 5 million articles. Wikimedia Commons—the multimedia repository that holds the images used on Wikipedia—added 5 million media files. Across the world, mobile pageviews to our free knowledge websites increased by 170 million. Every month we receive visits from 1 billion devices—laptops, mobile phones, and other internet connected technology—making us one of the world’s most popular sites. English Wikipedia, which is our most actively edited and widely read Wikipedia, grew to 5.3 million articles. Swedish Wikipedia reached 3 million articles. German Wikipedia reached 2 million articles. Japanese Wikipedia reached 1 million articles. About 80,000 people actively contribute to Wikipedia each month. These generous volunteers are responsible for much of the new content across our Wikipedia projects. Millions of others have contributed to Wikipedia over the course of our lifetime. The number of Wikipedia’s articles, edits, and pageviews testify to the importance of the Wikimedia projects to free knowledge in the world. Indian hackathons to help Marathi-language editors: Wikimedia contributors in Mumbia, India, held a series of hackathons at the Indian Institute of Bombay, where software engineers developed tools to let editors in Marathi—an Indic language spoken by 73 million people (Marathi)—work in that language on Wikimedia projects. Seventy people participated in the hackathons, including 20 new editors, and shared the results on GitHub. Bringing Wikipedia offline to rural Africa: In Senegal, we’re supporting the offline Wikipedia project Kiwix, which provides Wikipedia to schools with limited electricity, phone landlines, or reliable internet. Before the distribution of Kiwix, one student would take a taxi or donkey cart from the school to the main road, get a group-taxi or bus to the internet café in the next largest town, pay for 30 or 60 minutes’ time, print out the relevant Wikipedia article, and start the journey home. Kiwix brings Wikipedia directly to students, letting them focus on learning. Addressing gender bias on Wikipedia articles: From Belgium, a core group of Wikipedia volunteers—under the name Just For the Record—organized nearly 100 Wikipedians to fix gender bias on 157,916 Wikipedia pages. They corrected bias wherever they found it, including articles that referenced women’s first names rather than their surnames, or their relationships to male figures (like fathers, brothers, and husbands) rather than their own accomplishments; and re-balanced the coverage of general subjects, such as “heroes,” that skewed toward male figures. 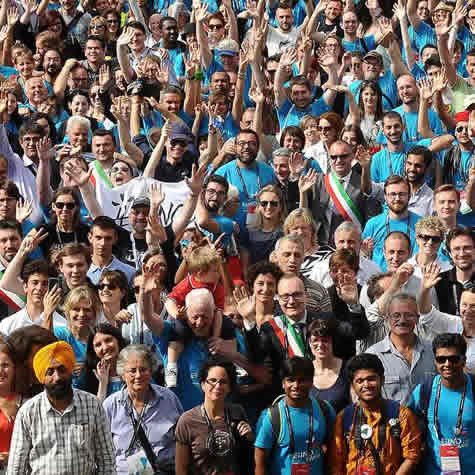 Across Wikimedia’s technology initiatives, 2016 marked a year of milestones. At the year’s beginning, Google lauded Wikipedia’s Android app naming it a best of the year. In May, NASA proudly explained how they use MediaWiki—the collaborative technology that powers Wikipedia—to share information about space suits across their organization. In July, the Content Translation tool powered its 100,000th new article as Spanish editors adapted an English article about a Buddy Holly rock song. We helped readers in countries with high data costs save money, we improved how Wikipedia content is displayed in search results, and we improved searching for content on Wikimedia project pages. Near the year’s end we also announced Victoria Coleman as the Foundation’s new Chief Technology Officer. Victoria brings more than 20 years of experience to the movement, and first started working on open source software as a student developing projects in Unix.